Don’t let all the myths or scary stories fool you. Root canal therapy is actually painless! TV shows love to comedically mock the horrors of getting a root canal. Unfortunately, visiting the dentist often comes with some pretty negative connotations, but our Worth, IL, dentists are here to turn that all around for you. Okay, okay so the idea of needing to get a root canal does nothing but induce panic. Relax! This procedure is fairly straightforward and extremely common. Plus, with our advanced technologies and techniques, we make getting a root canal painless. Root canal treatment doesn’t cause pain. In fact, they are meant to stop pain caused by an infected or inflamed dental pulp. Why would you feel anything during your procedure? Because we don’t think cruel and unusual punishment and dentistry go together. Our Worth general dentists always perform root canals under local anesthetic, which numbs the area completely before we even start. Even after your procedure, your mouth will be numb for a few hours so you won’t experience any pain. And you’ll be happy to hear that post-treatment pain is actually quite minimal. In fact, thanks to a survey conducted by the American Association of Endodontists, we know that those who actually get root canal therapy are six times more likely to say that it was painless than someone who has never had one before. Plus, the purpose of a root canal is to save a damaged tooth. Many people think that just getting a tooth extracted is a better option, but nothing can truly take the place of a natural tooth. An extraction is not the best option. Anytime you can preserve the life of a tooth you should. Are you worried about sitting in our chair all day? Stop fretting. The idea that a root canal takes multiple visits or several hours is also a myth. 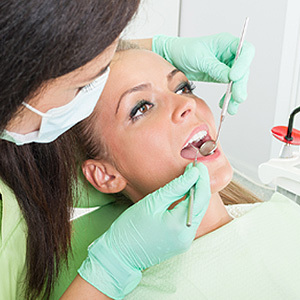 Getting a root canal is really no more invasive or advanced than getting a dental filling. In most cases, a root canal can take anywhere from 45 minutes to two hours. You may have to come in for a second visit but that will only be to place a permanent crown over the tooth, which is simple and quick. All Smiles in Worth, IL, is here for you every step of the way. Whether you need to schedule a routine cleaning or you have questions about getting a root canal you want to turn to the dental experts you can trust.